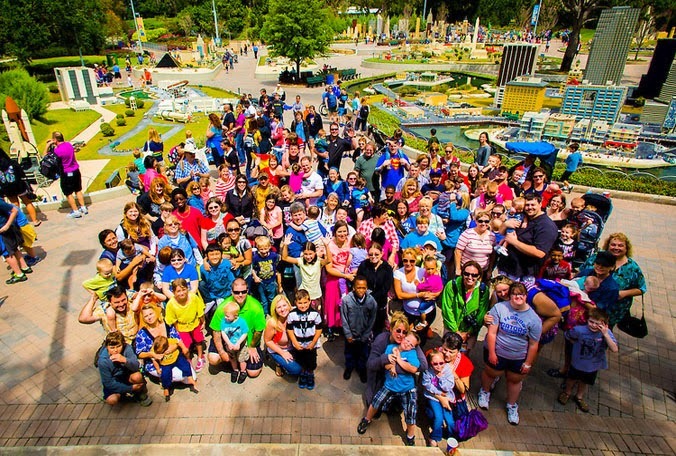 Children from the Down Syndrome Association of Central Florida and their families visited Legoland Florida Tuesday. Merlin Entertainment Group’s charity, Merlin’s Magic Wand, provided the all expenses paid adventure. The charity gives ill, disabled or disadvantaged children the opportunity to visit Merlin Entertainment attractions around the world and works with local organizations to create memorable experiences. The event was part of a special global initiative to celebrate the opening of Merlin’s 100th attraction this year, with DSACF members joined by thousands of others across the 22 countries in which Merlin operates. Based locally in Winter Park, DSCAF serves families in an 11+ county area and serves as a leading voice for individuals with Down syndrome and their families. The Association consists of over 1,200 individuals with Down Syndrome and their families.